Last week in Pre-calculus was the 11th week. Sorry for the one-week delay. One thing that I’ve learned is solving linear inequalities in one variable. Overall, this topic should be quite straightforward. You just need to be careful of your signs (+/-) and the inequality that you need to use. First of all, since we’re only solving in one variable, we don’t need to use the x-y graph, just a number line would be fine. If you graph an inequality with greater than or less than signs, the number that it’s based on is NOT shaded or part of the solutions. 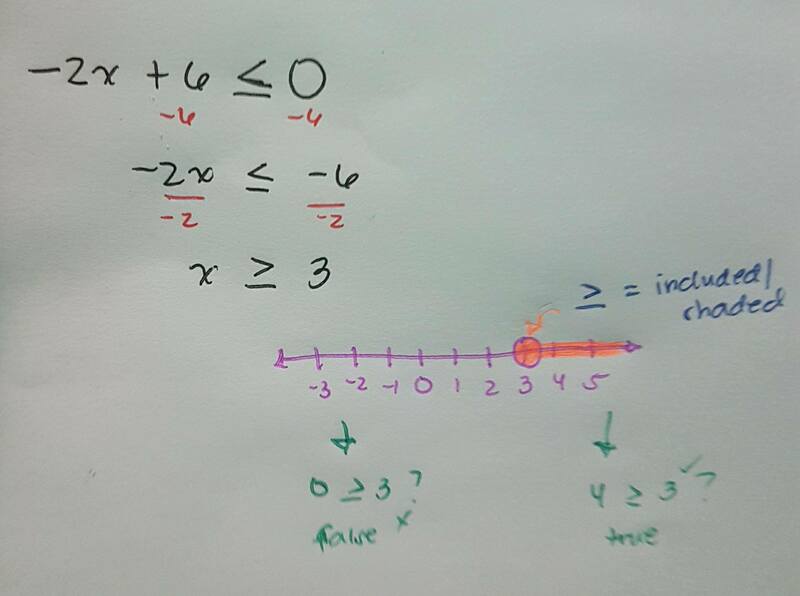 NOTE: keep in mind that if you DIVIDE or MULTIPLY by a NEGATIVE, the inequality sign must be SWITCHED! check example 2! !